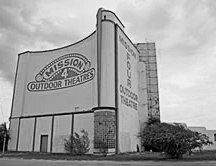 The Mission Drive-In (right) opens, showing “The Pirates of Monterey” with Maria Montez. The Jackson Five perform at the Convention Center Arena. Former Express-News columnist Cary Clack attends the show. Contemporary Christian artists Amy Grant and Rich Mullins perform at Trinity’s Laurie Auditorium.